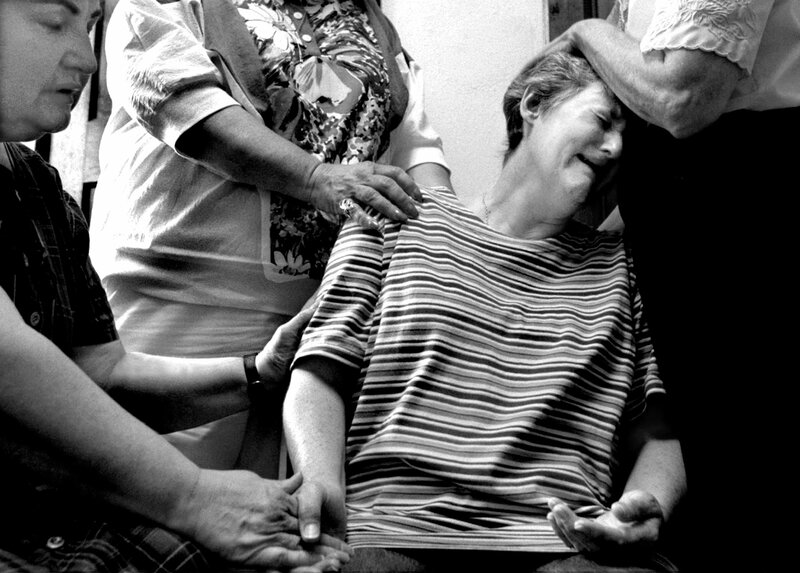 HEALING TOUCH- "Heal me father, heal me," cries Maureen Yahnke. "It feels like a gentle rain--it fills in all the cracks and cravases, soaking in where it is needed to refresh us, said Carol Striebel, left, "we are all wounded healers." she said during a Roman Catholic charismatic soaking prayer.